Enough rest and sleep turns out to affect health, weight, mood, and even our sexual life. When you were little, you might feel annoyed and often denied that you were told to take a nap by your parents. But after adulthood, bedtime can actually be a precious and most anticipated moment. And it turns out, sleep is not only able to relieve drowsiness, but also very good for mental and physical health. Rest and sleep play an important role in maintaining the health of our body. Poor sleep hours are thought to increase the risk of kidney disease, heart disease, stroke, high blood pressure, irregular heartbeat, rising stress hormones, and diabetes. Did you know that adequate rest and sleep can affect the body's reaction to insulin, which is a hormone that controls the level of glucose or blood sugar? Sleep deprivation makes our blood sugar levels higher than normal. As a result, we are more susceptible to diabetes. Rest and sleep also helps the growth and development of a healthy body. 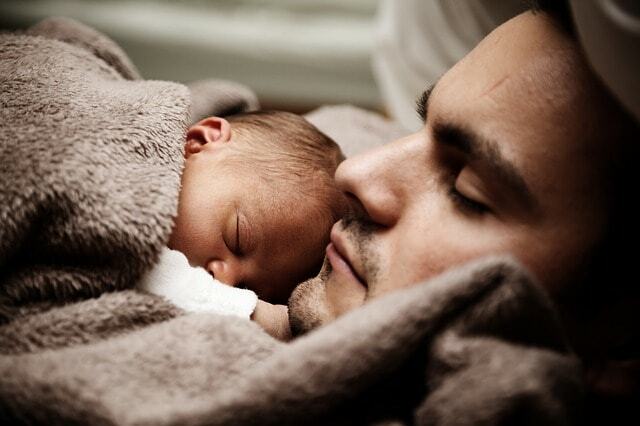 Deep sleep triggers the body to release hormones that support normal growth in children and adolescents. These hormones also help repair cells and tissues, and increase muscle mass in children, adolescents, and adults. In addition, rest and sleep also play a role in puberty and fertility. Did you know that lack of sleep can also increase the risk of obesity in adolescents and other age groups? Sleep affects the body in processing and storing carbohydrates. The way to keep hormones that make us feel hungry (ghrelin) or full (leptin) remains balanced. If we don't get enough sleep, the hormone ghrelin will go up while the hormone leptin will drop. As a result, we will feel hungry. Adequate and quality rest and sleep keep us active throughout the day. Lack of sleep for just one or two hours per night has made our bodies seem to not sleep at all for one or two days. Sleep deprived people tend to be less productive at school or work. They take longer to complete tasks, react more slowly or 'slow', and make more mistakes. According to a small number of participants who took part in the polls conducted by the National Sleep Foundation, they were too tired to make their sexual lives fall apart. In fact, rest and sleep disorders are thought to be related to low testosterone levels in men. According to a psychology professor, fatigue due to lack of rest and sleep increases our risk of experiencing various injuries, or household accidents. For example sliced ​​a knife, fell from a ladder, crashed a vehicle (both land, sea, and air). It can even cause tragic accidents on a larger scale such as nuclear reactor leaks, flight accidents, work accidents, and so on. Lack of rest and sleep can make us become angry, impatient, difficult to concentrate, moody, stressed, and depressed. Too little sleep can also make us too tired to do things that are desired. According to a study of 150 people, sleeping seven hours or less than seven hours a day is thought to make our bodies more susceptible to illness. Lack of rest and sleep is thought to make us senile. One study shows that when sleeping, our brain processes, strengthens, and combines our memories from throughout the day. If you lack sleep, these recollections can't be hold on properly within the brain and may be lost. In order for the various benefits of rest and sleep above we can get the maximum, do not forget to sleep according to the recommended number of hours. For adults it is recommended to sleep 7-9 hours a day, adolescents 14-17 years 8-10 hours / day, children aged 6-13 years 9-11 hours / day, and toddlers aged 3-5 years 10-13 hours / day. In addition, let children aged 2 years sleep 11-12 hours with an extra 1-2 hour nap, 12 months baby sleep 10 hours a night accompanied by a 4-hour nap, and newborns sleep 14-17 hours a day. Pencari ilmu yang ingin membagikan pengetahuannya.